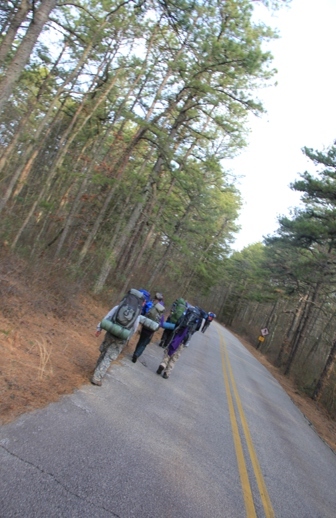 Distance: End to end is 53 miles, plus side trips for campsites (our total was 57.2 miles). 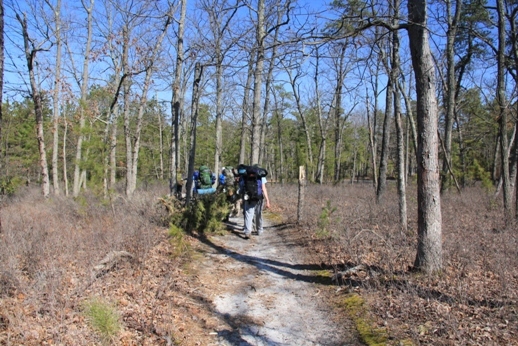 This is section 4 – Brendan Byrne Campground to the end of the trail at Ong’s Hat – 9 miles. Markings – Pink, usually on trees. Sometimes disappear or hard to follow, but much improved the last few years, especially this section. 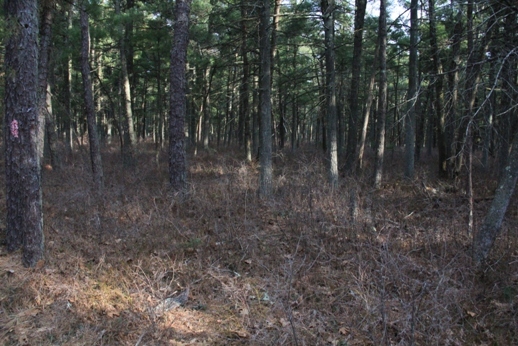 Trail Map for Brendan Byrne State Forest – all of our hiking today is on this map. 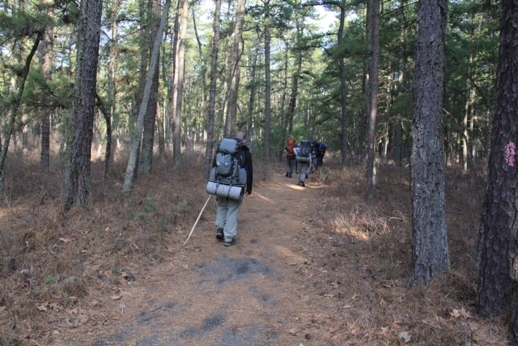 Brendan Byrne Campground to Ong’s Hat – 9 miles, although this might be short. I really can’t wait for the new map. Last day on the trail! You’ll probably float down the trail this last day! You start with the 3/4 mile road walk back up to where we left the trail yesterday. Turn right and head into the woods. 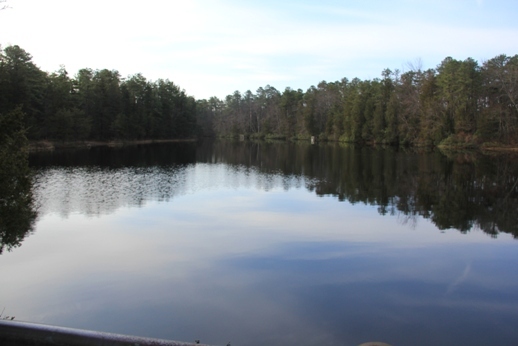 You’ll immediately pop out at Pakim Pond, which you’ll be walking around. Enjoy the lovely views. Morning road walk from camp. Pakim Pond looking at the picnic area across the pond where we had eaten our dinner the night before. 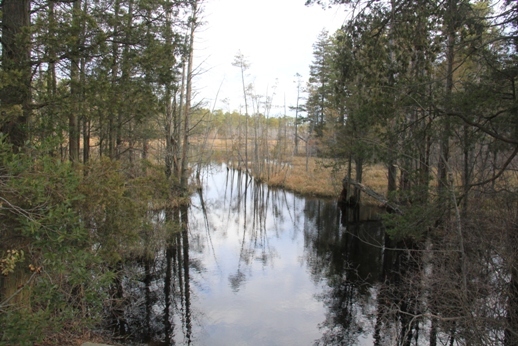 Bog next to the pond. 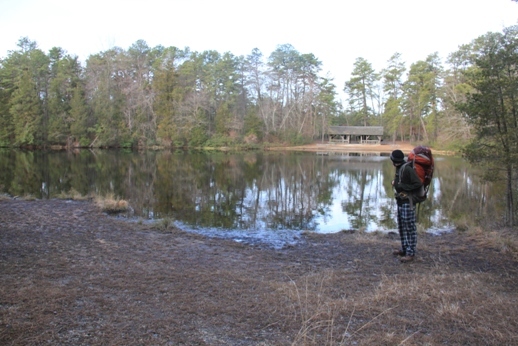 After the pond, the trail will turn right. From here, it’s a little more than three miles to turn for the ranger station. 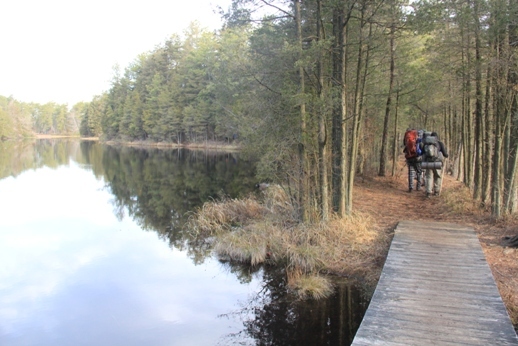 You’ll follow along with the Cranberry Trail (red blazes), then the Batona turns left while the Cranberry Trail continues straight. 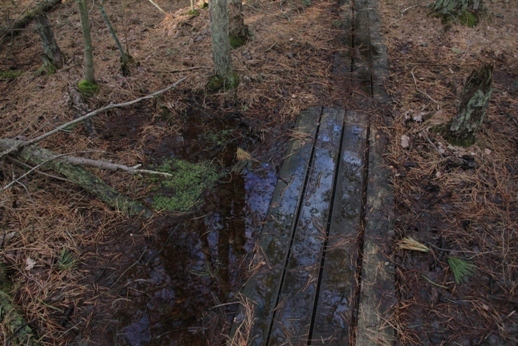 The next section of trail is usually a little muddy, and boards have been placed down to help with that. 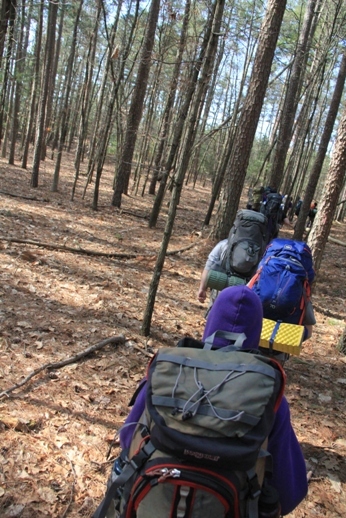 Enjoy the small hills you’ll be climbing, as well as the more open forest than most of what you’ve seen so far. The woods in Brendan Byrne have a different look about them. Walking along the Batona/Cranberry Trails. Crossing boards with water coming up over the tops. 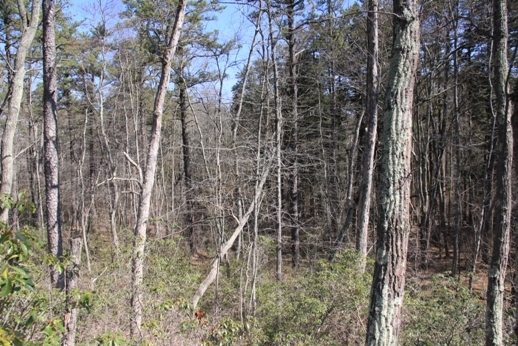 After this section, it’s a short walk to the Lebanon Fire Tower. 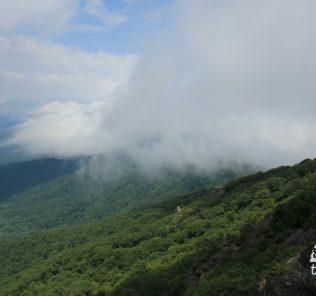 Take a break here and climb as far up the fire tower as your dare. The stairs are more spread out, which always made this fire tower scarier to climb than the one at Apple Pie Hill. 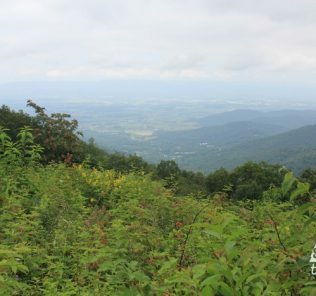 Approaching the Lebanon Fire Tower. From the tower, it’s 0.8 of a mile to Route 70, you’re getting close to the end! This is probably the hardest road crossing, so be careful. 0.9 more miles will bring you to Deep Hollow Road. 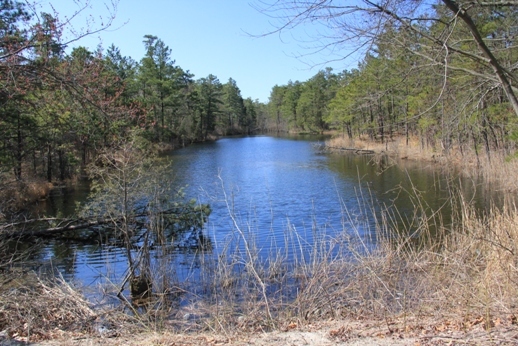 You’ll turn left on the road, pass the lovely Deep Hollow Pond, then cross the road to continue down the trail (the trail does NOT circle the pond! Even through there is a worn path there!). 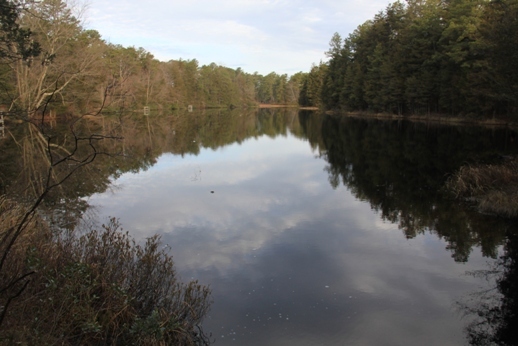 Deep Hollow Pond. After seeing this, don’t forget to turn right and cross the road to continue on the trail. 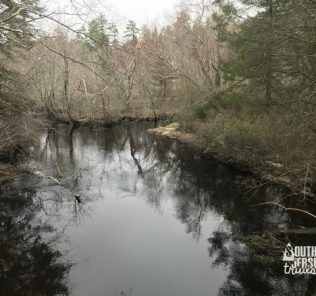 Deep Hollow Pond 2016- what the? You’re on the home stretch now – 3.5 miles to go! 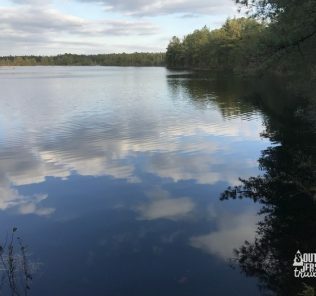 You’ll wind along the tops of some hills overlooking cedar swamps, cross over Deep Hollow Road again, wander through some interesting bits of trail, and cross Four Mile Road by the Rutgers Field Station. This is your last paved road crossing! 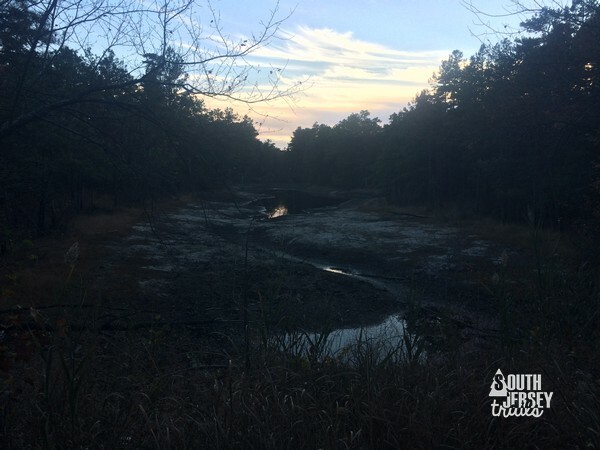 The final stretch of trail seems to be the least used, as you meander through pine groves, take short stretches of dirt roads, use Turkey Buzzard Bridge Road to cross a swamp, and eventually emerge from the woods at Ong’s Hat at Magnolia Road. 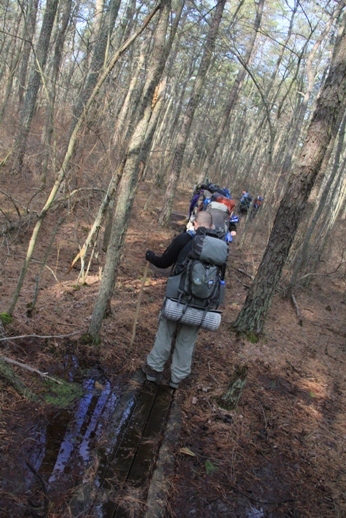 Our first complete hike of the Batona, it poured rain for the last 1 1/2 miles of trail. The water was over our boots most of the time. 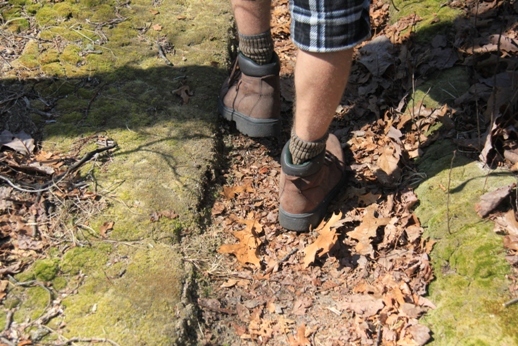 Looking at the trail dry, I can see how the moss helped funnel the water into a stream running down the trail. Doing the last stretch in the dark in 2016. You did it! 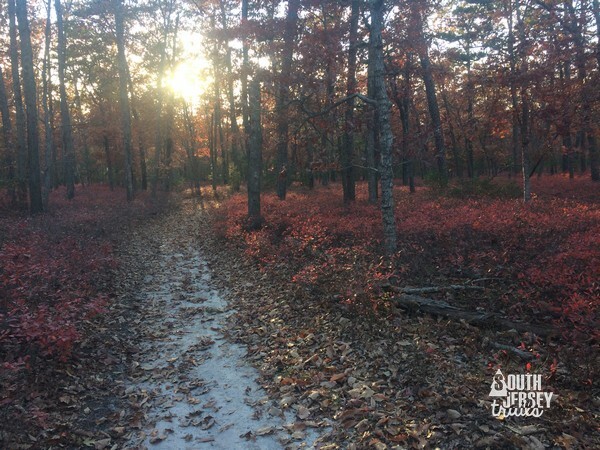 You finished all 52.7 miles of trail! 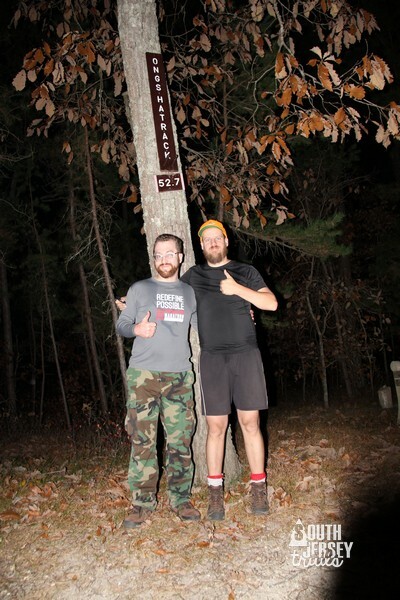 I hope this trail guide inspires you to give part or all of the Batona a try! It’s really an awesome experience to go end-to-end on it! – No camping tonight, go enjoy your bed! Forests, hills, trees, Pakim Pond, Lebanon Fire Tower. This last stretch of trail is great, no complaints. 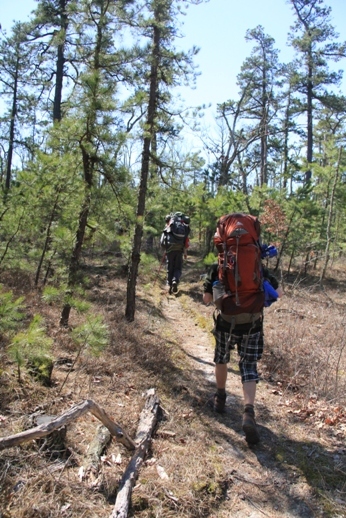 South Jersey's only long distance backpacking trail, you must try it at some point. Wow, you are an awesome maker of trail guides! 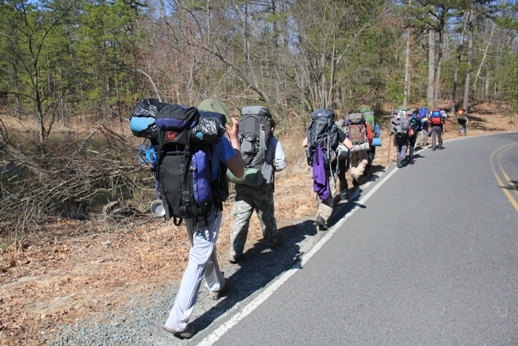 Hiking the Batona north to south in June 3 days. Thank you!! Nice, have an awesome time! This is awesome and so helpful! 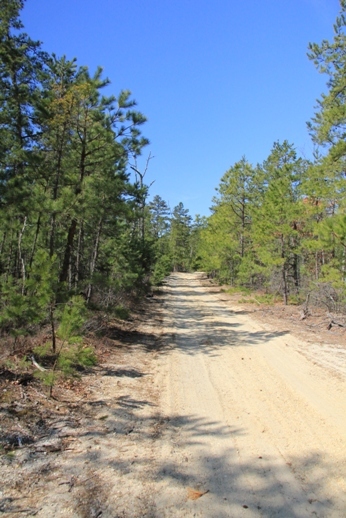 Would you see any advantages to hiking this northbound or southbound? This section or for the whole Batona Trail? For the trail, I infinitely prefer to go South to North, because it leaves the shortest day being the last day (Brendan Bryne Campground to Ongs Hat). For this section, it’s probably more exciting to go the opposite way so that you end with the highlight of the section – Pakim Pond. It’s such a nice spot, one of the nicest on the whole trail! My nephew and I will probably be hiking the Batona during the spring. I was hoping you could touch on food storage at the campgrounds since I haven’t been able to dig up anything. Are there bear boxes? I didn’t think bears were in this area, but after getting the state map, I noticed they mentioned bears on it. 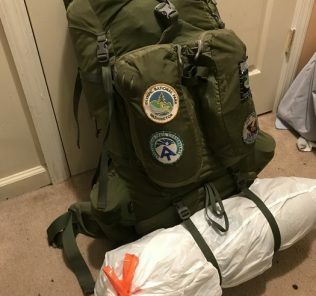 We always have the Scouts bear bag when we do it, but it’s really just for practice. I’d have zero concerns about bears at any of these campsites.